Does your son pitch in Little League? In this article, you'll learn what parents can do to help keep their player's arm healthy this season. Parents will learn how to prevent Little League pitching arm injuries. Pitch counts. Days rest. Arm care. ...especially for those who have children who are pitchers. And, while coaches are concerned with what these mean for game-day decisions and practices, parents need to be aware of what they mean for the health of their Little Leaguer's arm. 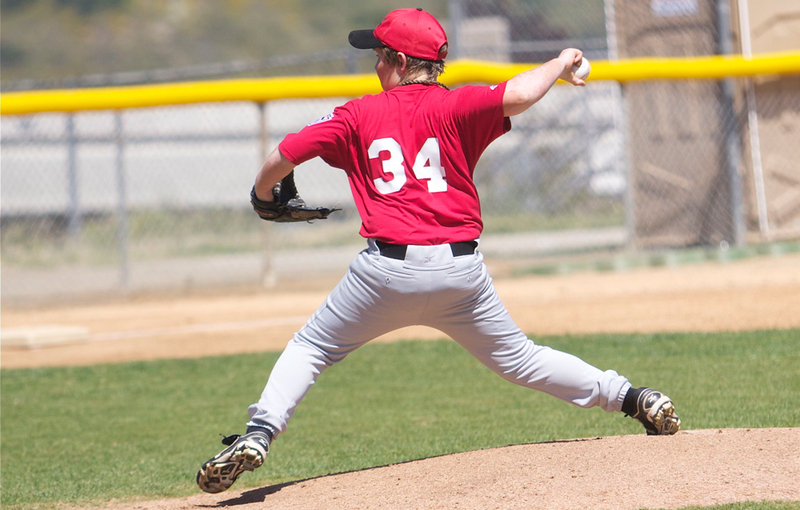 A 2015 study presented at the Annual Meeting of the American Academy of Orthopaedic Surgeons (AAOS) found that 53% of the parents of youth baseball pitchers are unaware of safe pitching practices designed to prevent overuse injuries. 54% stated that they did not actively participate in monitoring their child's pitch count. 20% were unaware of how many pitches their child threw in a typical game. 49% of pitchers threw in more than one league at a time. 25% pitched in a league more than nine months out of the year. 75% of parents of 11- to 12-year-old players said their child throw "curveballs" (17% percent throw "sliders"). Former Chicago Cubs pitching pro Steven Ellis shares shares little league pitching tips for little league parents on preventing pitcher-related injuries in Little League Baseball. Track your son's pitching and throwing time to make sure weekly, seasonal, and annual limits are not exceeded. Parents are encouraged to keep pitch count charts for their son, if possible. 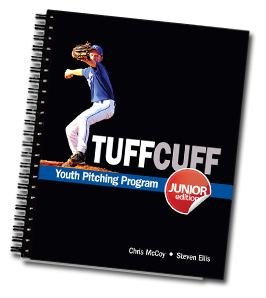 Ask your son frequently how his arm feels, most especially after he's just pitched during a game or at practice. One word replies are not acceptable here. "Fine" or "good" or a shoulder shrug doesn't cut it. Have your son rate his arm health on a scale of 1-10 and constantly monitor it. Teach your son how important it is to his future baseball success that he does not throw hard (or not at all) when his arm is tired, sore or hurting. Recreation leagues have strict limits on pitch counts but travel ball teams do not. If your player is on a travel ball team, make sure that your son's coaches respect age appropriate pitching limits at all times. If not, remove your son from the team. Studies like this one from 2002 suggest you should prohibit your son from learning breaking pitches such as curve balls (requiring wrist to turn) before they are 12. It's important to note, however, that improper mechanics with breaking pitches will lead to injury at any age. If a kid learns to pitch a breaking ball from another kid on his team or a YouTube video, he may learn it incorrectly. To play it safe, require that your pitcher learn breaking pitches from a professional pitching instructor or coach. Work with your son to develop a good change up before throwing breaking pitches. It's a terrific pitch when paired with the fastball to disrupt a hitters' timing, and it causes no additional stress on the arm. Don't let your son play catcher if he's also a pitcher. According to this 2010 study, playing catcher appears to increase a pitcher's risk of injury. Young baseball pitchers are encouraged to play other positions as well but should avoid playing catcher. Don't let you son pitch more than 100 innings per year. According to this study, pitching more than 100 innings in a year significantly increases risk of injury. Do not allow your son to come home after a game and re-create his game by throwing with you or your spouse. Once they are done on the field, they are done for the day. Give your son at least 2 months off each year from any kind of throwing. Ideally, do another sport such as soccer or basketball in fall and winter while avoiding all forms of throwing. These sports build athletic skill and team-building skill, but allow for a full recovery of the throwing arm following baseball season. Encourage your son to perform proper arm care that can be done three times per week. The exercises should take no more than 10 minutes. Tubing exercises or lightweight 3-5 pound dumbbells are best. As a parent of a Little League pitcher, I know you'll agree with me that there's nothing more enjoyable than watching our son pitch. Use these Little League pitching guidelines and recommendations, and you'll guarantee that your son will stay in the game and have lots of success in 2016. Good luck and have fun this season watching your son pitch!